Dutchysim very kindly helped me play test it. All roads and Lots are hopefully rip and tear free. The only annoying thing is my farmhouse. I have placed Bluebell’s Farmhouse in the farming area but the perfect fruit and veggie plants have disappeared 😦 You can solve this by simply deleting the lot, download the farmhouse from my studio and place it back in the world. All the important community lots are built in the world – City Hall/Police/Military (Late Night 3 in 1 City Hall combo), Gym, Pool, Book/Grocery/Theatre, Art Studio, Business, Nectary, Consignment Store, Vampire Lounge, Movie Backlot, Science Facility, Stadium, Spa, Restaurant, Salon/Tattoo, School, Criminal, Graveyard, Laundromat, Park, Academy, Hospital, Junkyard – already built. I have built some and some are EA’s with a little recolouring and tweaking. 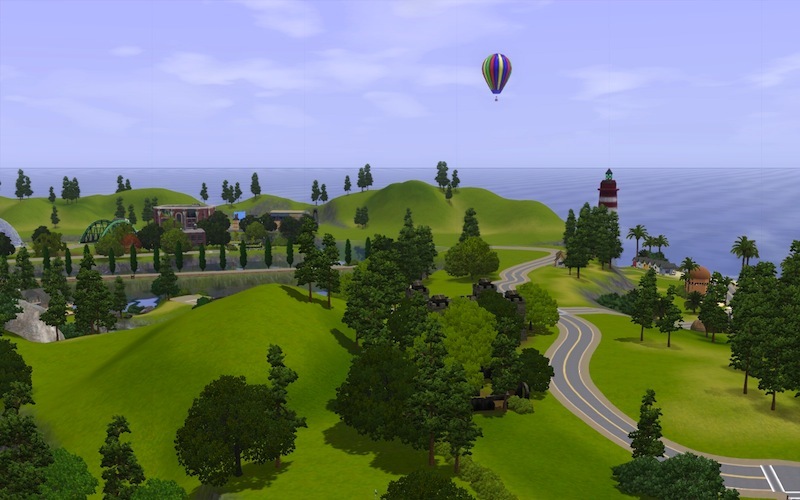 Some of my residential lots have been placed and I have built a few new ones. There are also a lot of empty lots to build on. Bluebell – I’ve downloaded your world and am excited to play it! I’m hoping to get a chance tonight. 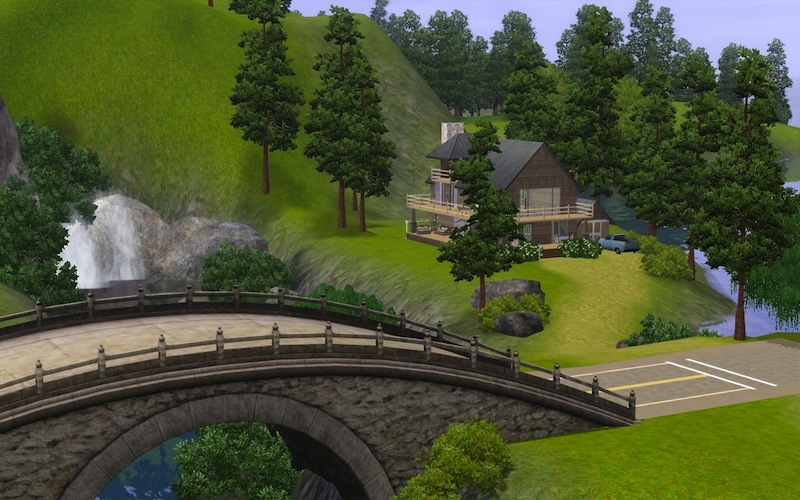 It looks beautiful and I love the fact that it is CC free (along with all your other creations)! Hope you like it Kate, I’ve just been playing it and so far (fingers crossed) haven’t found anything unexpected!